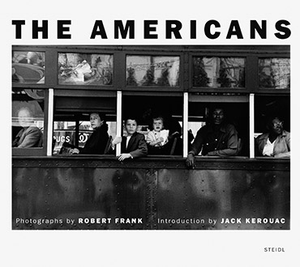 Today, May 15th, is the 50th anniversary of the day Robert Frank's The Americans was first published by Robert Delpire in Paris. That was 1958. Today we realize that The Americans has more in common with beat poetry and club jazz than it has with many other kinds of photography; it's one of the high water marks of 1950s culture. And throughout an era when photographers communicated with each other and with their audiences mainly through the vehicle of published books, The Americans has had only a handful of competitors (Walker Evans' American Photographs, Henri Cartier-Bresson's The Decisive Moment, a few others) for the title of the most important single photography book ever published. For thirty years after its publication it was deeply influential. And although photography has moved on now, the echoes of its impact reverberate still. In honor of the anniversary, today also marks the publication of the the finest reprint of the book ever made. The originals are "unobtanium," so reprints are all that are available to photographers and enthusiasts. Over the years there have been many, in many countries and languages; some pretty good, some not so good; some with Robert Frank's input, some without—most recently from Scalo, eight years ago. Mine is the 1986 Pantheon reprint, 22 years old now, which up till now I would have said was one of the most desirable of the affordable versions. Gerhard Steidl has lately become arguably the world's most important producer of photographic books. 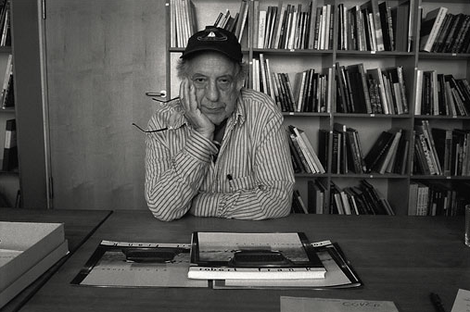 In recent years Steidl has undertaken what it calls The Robert Frank Project: "...an ambitious long term publishing programme which encompasses Robert Frank’s complete oeuvre—reprints of his classic books, reprints of some less well known small books, the publication of previously unseen projects, newly conceived bookworks…in a scheme and to a standard that the artist himself has overseen." 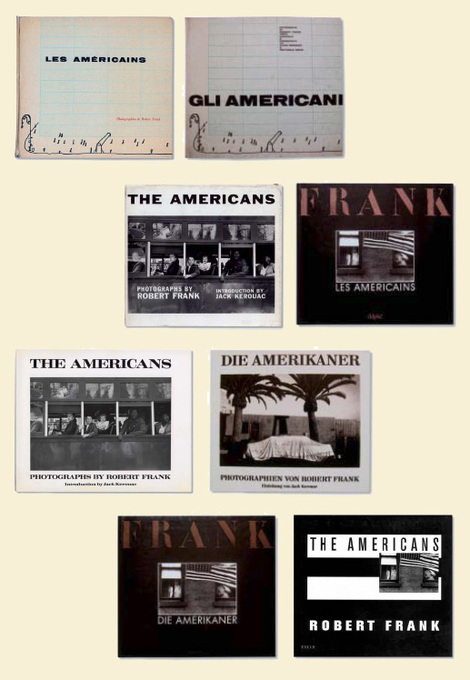 Today's release of the deluxe reprint of The Americans is the culmination of Steidl's Robert Frank Project. The new reprint is in some ways more desirable than the virtually unobtainable (and extremely expensive) first French or first American editions, at least as far as content is concerned. Frank journeyed to Göttingen with the 83 original prints, which were carefully re-scanned to create the finest modern tri-tone reproductions. During the process, he reportedly rethought the cropping of all but a small number of the pictures. The new edition also restores the small size of the original book—those accustomed to modern photo books will be surprised at how small this book is—and does away with the page numbers and the odd little triptych Frank had added to some editions as a visual coda. Two pictures are reproduced from different negatives entirely, slight variations of the originals. A major touring exhibition will open at the National Gallery of Art in Washington, D.C. in January, 2009. It will later travel to the San Francisco Museum of Modern Art and the Metropolitan Museum of Art in New York City. The Americans is photography's "Kind of Blue." And like that evergreen Miles Davis masterpiece, it deserves a place in any collection. For a while, at least, there won't be any question as to which version to buy: for photographers and book collectors now and for some time to come, the Steidl reprint will doubtless be the edition of this book to have and enjoy. The Americans at Amazon U.S. The Americans at Amazon U.K.
ADDENDUM: Our friend dyathink sent me a link to this article at telegraph.co.uk, with its fascinating account of Frank's perilous encounter with the malevolent Lieutenant Brown of the Arkansas State Police. It really got me to thinking—is it possible that Lt. Brown and other characters like him might have had some real influence on the final form of the book Robert Frank made? After all, when you choose 83 pictures out of 28,000 shots, it's possible to tell any number of stories, in any number of ways. And of course, when Frank had this "most humiliating" experience, the all-important edit was still to come. Whenever I open "The Americans", after two minutes I put it back and open any book of Elliott Erwitt ("Snaps" usually) to restore my balance. Too much pessimism under one cover IMHO. Simplistic view, you may say, and you'll be right of course. But whatever Lt. Browns he encountered on his journey, Mr.Frank did his best in avoiding happy and smiling people (and I can't believe there wasn't any). Having said that I hasten to add that I agree- it was very influential book. Thanks for the link to the background on officer Brown. The Telegraph piece is good. If you swap "DHS agent" for "Lt. Brown of the Arkansas State Police," Frank's experience in the 1950's isn't all that different from contemporary events. I bought mine. Thanks for the alert. Another value of TOP: tips like this one! I ordered this classic with gusto not long after Mike posted the details last night. Super-Saver shipping and the generous Amazon discount are icing on the cake. My wife or son can wrap it for me when it comes: Father's Day shopping is done in just a few clicks! I really look forward to spending some time with this. Thanks for the heads-up, Mike! At the ICP in New York, there was a famous Munkacsi photograph with a caption under it. The story goes that Cartier-Bresson saw the photograph for the first time and said, "Dammit!" and ran outside to take pictures. I have this experience with some really powerful photos from time to time. The Telegraph article was brilliant and the pictures in it suggested to me that I'll be moved quite a bit by the contents of the book, so I went ahead and ordered it through the T.O.P. link. These photography books seem to go out of print so fast...thanks for pointing it out to us. The cheapest original copy of The Americans on abebooks.co.uk is £2000 wow! I'd better order me the reprint. I read the first page of the Telegraph article with interest. However my workplace network blocked the second page as having 'unacceptable language' - Big Bro is alive and well Robert and thriving in the UK. "None of his films - including C*cks*cker Blues, his wild 1972 documentary on the road with the Rolling Stones - has had anything like the impact of The Americans, which revolutionised photography, showing how it could become less artificial and contrived." Anyway the most interesting part of the Telegraph article is on the first page, about RF's arrest and detention by Lt. Brown. I´ve always wanted to buy this book so I´ve just bought it through your amazon link! Mike any chance perhaps of giving us your opinion on the 10 or 25 most important and influential photography books in the last fifty or more years? Those books any kid new to photography could use to educate his eye and not with the idea of making an monetary investment. I pre-ordered a copy when it was first announced and am eagerly anticipating its arrival. What kills me is that I used to have a copy, but gave it to a friend when I left photojournalism and divested myself of related books and materials. It's the only book of the bunch I regretted getting rid of as it transcends simple genre categorizations. Seeing yet another book recommendation by Mike J. (which I do appreciate, by the way), I once again find myself asking the same question: When on a limited budget, what comes first, the books or the lenses? Maybe the subject for a future TOP article...? PS: I will definitely buy *this* book, but my question arises from my inability to decide what to do about the many hundreds of dollars worth of photography books that are now "saved for later" in my Amazon cart. "Mike any chance perhaps of giving us your opinion on the 10 or 25 most important and influential photography books in the last fifty or more years? Those books any kid new to photography could use to educate his eye and not with the idea of making an monetary investment." --Many of the books would be out of print and not easily obtainable. --Some of the books would be foreign and not easily obtainable. --The list would be an amalgam of "conventional wisdom" and my own judgment. Even if you accept that I could separate my (objective) "critical judgment" from my (subjective) "personal taste" (and some readers would consider this dubious), you're still looking at the problem that my critical appraisal is a developed filter that would reflect my own beliefs and concerns about photography. Let's just say the list would not be heavy with books of color scenic photography or esoteric titles by high-culture visual artists. To acquire a real "core collection" of great titles requires time, and not just because most people can't afford to buy everything at once. You sort of have to be alert to what's obtainable at any given time. For instance, Cartier-Bresson's "The Decisive Moment" has *never* been reissued. It's therefore so rare that most people have never even seen a copy, much less own one. If it ever is reprinted, that will be the time to buy it, and I will be jumping up and down like a manic monkey trying to get people to buy it. Then the reprint will go out of print, rise in value because people are competing for the copies on the market, and so it will become difficult to obtain again. That's why I always try to make these "buy recommendations" for people who are interested in building up a collection. For instance, even if you don't think you're very interested in having "The Americans" now, it's such an important title that you're likely to want it in your library eventually--it's just not a bad thing to have no matter what your current taste--and now is the time to get it, because you can have a really nice edition for relative peanuts. You just don't know what the situation will be like five or ten years from now. I'm going to *guess* that Steidl is going to keep this in print for a while. But you never know. They could go out of business. RF could die and his estate could insist it be taken off the market. Sales could spike, then tank, and the title could be killed. You just never know. Ten years from now, it could cost $125 for a used copy of this edition. Then again, maybe two years from now they will be remaindered for $9 a copy. It's so unpredictable. But in certain cases the desirability is so high and the price so low that it's possible to make a strong buy recommendation. That's what I try to be on the lookout for, to pass along to you & other readers. How I miss the Cold War. "I will definitely buy *this* book, but my question arises from my inability to decide what to do about the many hundreds of dollars worth of photography books that are now 'saved for later' in my Amazon cart." I definitely sympathize. Unless you have both deep pockets and lots and lots of storage space (and a reasonable belief that you will not be moving house too often! ), it is virtually impossible to keep up with the avalanche of photo books being published. I am reasonably certain I can't even keep up with the books I WANT from any single one of the big photo book publishers, much less all the books they publish, never mind all the books it is possible to buy from every publisher everywhere in the world. That's why it's so important to make sure that the titles you DO buy are either something you like (so you're likely to enjoy it) or else something everybody thinks is important (so you're likely to learn something from it by getting to know the pictures). Or both. Both is very good. All I do, and I think all pretty much anybody does, is to keep plugging along. Be on the lookout for bargains. Buy a few books when you're flush with cash. Treat yourself to a special new book every now and again. One book a month, or one every two months, will add up into a nice collection before you know it--the years do go by. I remember visiting a retired commercial photographer in Maryland when I was in photography school. He hand-built his own view cameras, and I was interested in doing the same, so he invited me to come to dinner and talk and see his cameras. He and his wife were older and he was an invalid, and they didn't have much money and lived in a modest apartment. But he had one--one--bookcase, full height but no more than two feet wide, full of photography books that he had bought over many years. Almost all in dazzlingly pristine condition. When I admired the books, he offered to GIVE them to me. I turned him down with great alacrity, telling him that the books were worth at least $10,000 (the true total was probably double that or more, but I'm not an appraiser) and that it might be an important financial resource for him and his wife. I don't think he even believed me. But in truth, just his early Edward Weston titles were probably worth $10k, all alone, even then, and that was the early '80s. The point is that he had just bought the Edward Weston books when they came out, because he admired Weston's work. He'd had them for 50, 60 years. He had really enjoyed the books over the years, and wasn't even aware they had value. They had value to HIM, and that was enough. Although I've seen images from "The Americans" I've never actually perused the book. I've had a standing back-order for the latest printing which, I am told, ships this week. Based on what I've seen that should be more than adequate to sate my curiosity. Thanks for the tip, Mike! They don't seem to be available in Amazon.co.uk yet, so I bought one for a friend in the States through your Amazon.com link in the meantime, and will keep an eye on .co.uk. Beautiful story about the retired photographer and his books. Value to ones' self—enough indeed. Buy the lenses and film, read the books at the library, and haunt used bookstores for cheap books to build your collection. They do not have to be perfect condition. While I do not have the Decisive Moment, I do have the catalog of the MoMA show from 1947 - that I think I paid $5 for. A little tattered, but the images are clean and the book is sound. Through time you can put together a nice collection without spending much money. "Why buy just one copy? Why not two, or three, or more?" Shall I put you down for four, then? Very good! Right you are. If you know what you're looking for, you can find genuine treasures for a song, too. Not often, and not everywhere, but they're out there. I have a copy of Richard Avedon and James Baldwin's "Nothing Personal" that I got at a "dollar a bag" sale at a used bookstore that was going out of business. Not in perfect condition, but even in the condition it's in I'd have to spend $250 for it most places. Its already sold out. I just received an email from Amazon to say that the order I placed for the book back in Febuary will not be able to be fulfilled. I think I sense a quick profit is to be made. Collecting books of any kind, including photography books, isn't quite as serendipitous or just plain fun as it used to be. I've been collecting fine letter-press printed books for twenty years, and when I started things were very different. Back then it was a common event to find a really beautiful, rare, even valuable tome lurking quietly on a shelf in a used bookstore tagged for something like $15. If you educated yourself about the subect, you'd recognize a "steal" whose value the bookseller didn't know. Everything has changed in the Internet age. Now everyone has instant access to information and prices; booksellers put their collections on line. The serendipity of stumbling across a pristine 1st edition of a classic has been replaced by bidding against other eager collectors, driving prices way up. Back in the late 1980's and early 1990's, I frequented a number of small town "used and rare" bookstores from Upstate New York to Vermont. I came across terrific finds routinely. Since about 2002, it's no longer been worth the trouble. Savvy booksellers put their wares on line, and the genuinely desireable stuff is quickly snapped up by well-heeled collectors. Real-world prices have exploded. It's probably better for the booksellers, but competing with the deepest pockets on the Internet isn't nearly as much fun as stumbing across a coveted find on a dusty back shelf. I'm sure you've run into the following phenomenon too: a bookseller who checks the auction records, picks the absolute highest possible price for a copy in the best possible condition, and then slaps that price on his shabby, beat-up copy that you'd have to think twice about even having in the house. Definitely worth checking out is Joel Sternfeld's article in 'Pluk' magazine (Summer 08 edition) about the meeting between photographer and publisher. Sternfeld was present in Germany to document Frank's overseeing of this 'final' edition. It's not a technical piece. It does not detail the new crops or compare the previous editions. But it is a wonderful account of how a true photographic great, deals with 'saying goodbye' to the work that made his name. Yesterday I got my copy of "The Americans". My first reaction was "Wow - what a paper, and what a printing". This book is a sensation on the sensual side alone! And the pictures... well, there is nothing to add that hasn't been said, only that it's for sure a question of personal preferences and mindset how many of pictures one can digest at a time. heavy going, for sure.